Ok, so I’ve visited some unbelievably beautiful island locations and beaches throughout my travels so far, but I am always left craving more. Purposely wishing I was packing my bags again for the soothing sounds of swaying palms and waves lapping at the shores, I asked anyone and everyone across the Insta community to submit there best island and beach images in search of more inspiration and island abundance. This article contains an array of island inspired images from an incredible line up of contributors, photographers and bloggers. I’m so stoked that this article came together so quickly and that everyone involved was interested in showcasing some of the most beautiful destinations to visit on Earth. 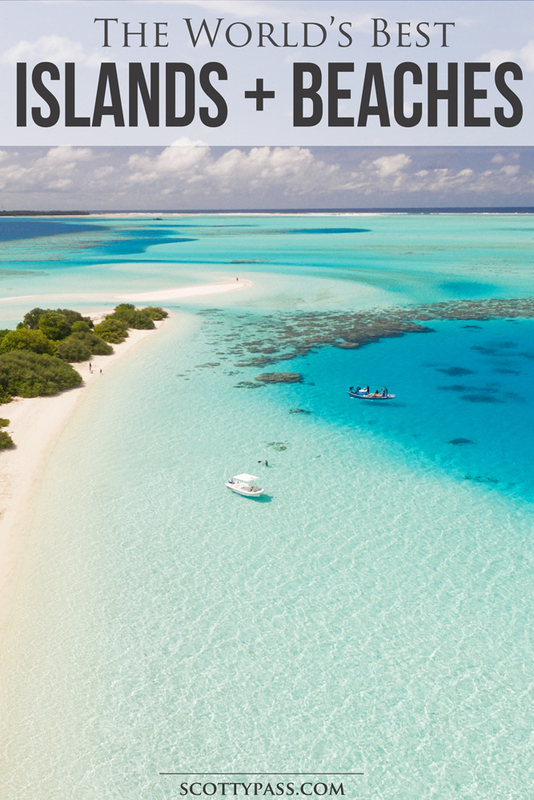 Get your bucket list ready, because the following locations are bound to spark some serious travel vibes, and leave most of us wanting to hand in a letter of resignation to catch the next flight. 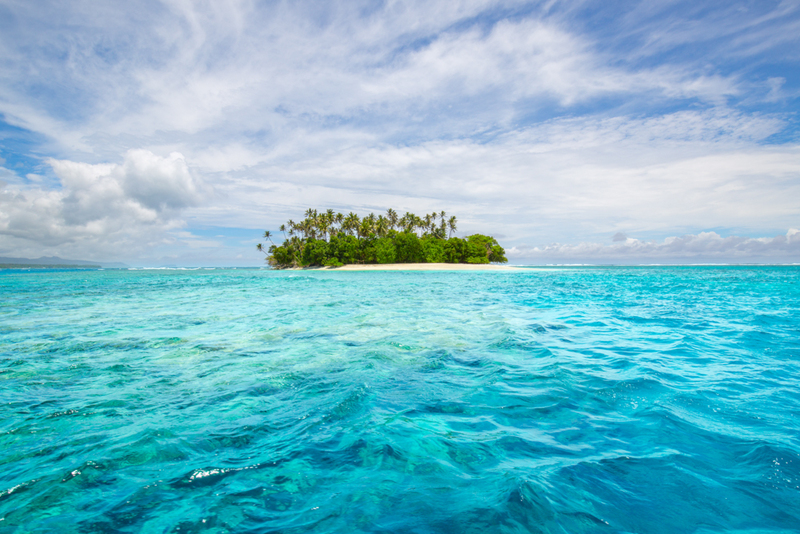 In no particular order, I present to you, The World’s Best Islands & Beaches. 2. Icebergs, Bondi Beach – Sydney, Australia. Bondi Beach is one of Sydney’s most renowned beaches and is a magnet for tourists in town, as well as being a popular spot for the local surfers. Bondi is located 20 minutes from Sydney’s CBD, with the best form of transport being bus, taxi or driving. Just across the street from the beach are shops, restaurant & bars. The most well-known and photographed restaurant is Bondi Icebergs. 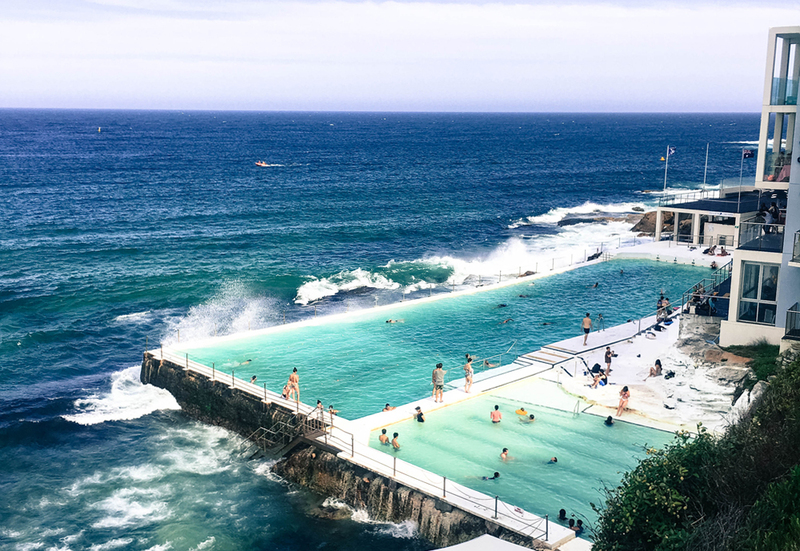 This restaurant gives breathtaking views of Bondi Beach, with the Icebergs pool just below on the waters edge, catching the waves as they come to shore. This public pool is a popular spot for families on weekends. It is also the starting point of the 6km Coastal Bondi to Coogee Walk. This picturesque walk is one of the most beautiful in Sydney and is one everyone should have the chance to enjoy. I thought I had seen a lot of beautiful beaches and islands after living in Australia and travelling a lot of the world, but when I got to Raja Ampat in Indonesia, I was blown away by how stunningly beautiful it was. 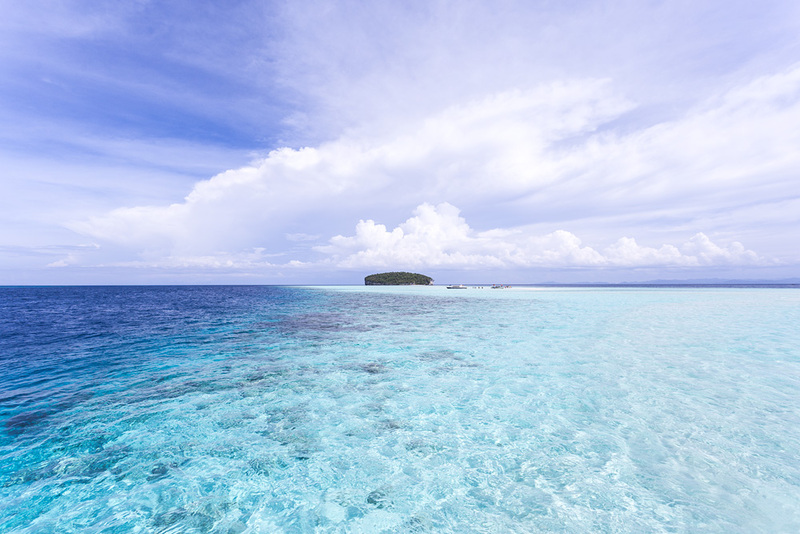 The cleanest, clearest aqua blue water and pure white sand. This place truly felt like the first untouched place I had ever visited. There is so much to see in this tiny little part of the world. 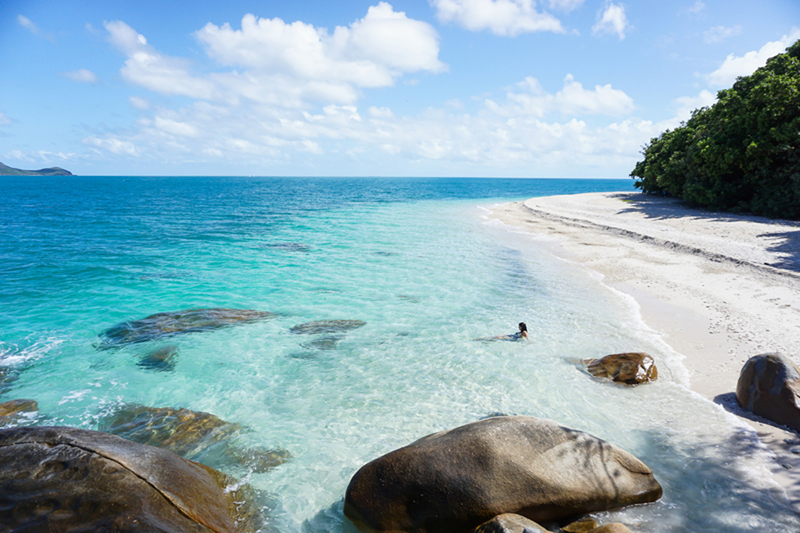 Amazing snorkelling and diving in the most pristine reefs in the world, the friendliest people you could ever hope to meet who live on the islands and my favourite beach in the world – Pasir Timbul. This place is usually covered in water but at the right tide there is a huge sand bank that appears and you can walk for miles surrounded by the ocean. Pasir Timbul is my idea of heaven of Earth and I really hope I get the chance to visit it again one day! Usually when I think of Victoria, I envision freezing cold conditions and a heap of unpredictable Melbourne-esque weather – Well nope! This beautifully captured drone perspective of Warrnambool Beach, Victoria by Chelsea Attenborough would suggest otherwise. Often referred to as the Shipwreck Coast, the stretch of coastline between Warrnambool and Cape Otway was prone to a string of shipwrecks in the 1800’s. Now very much a tourism hotspot in Victoria, the coastline offers some of the most raw and uninterrupted views that the Australian coastline has on offer. With a rich maritime history, there’s a large range of beaches and pockets of sandy straights to explore around Warrnambool. 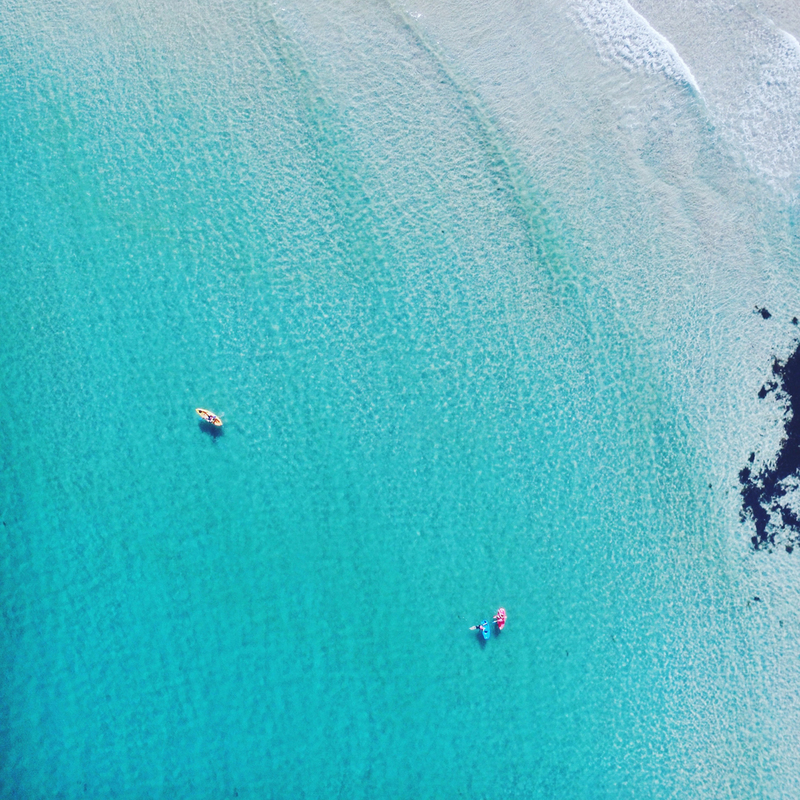 Check out Chelsea’s Instagram for other incredible island locations such as Bay of Fires, Tasmania. 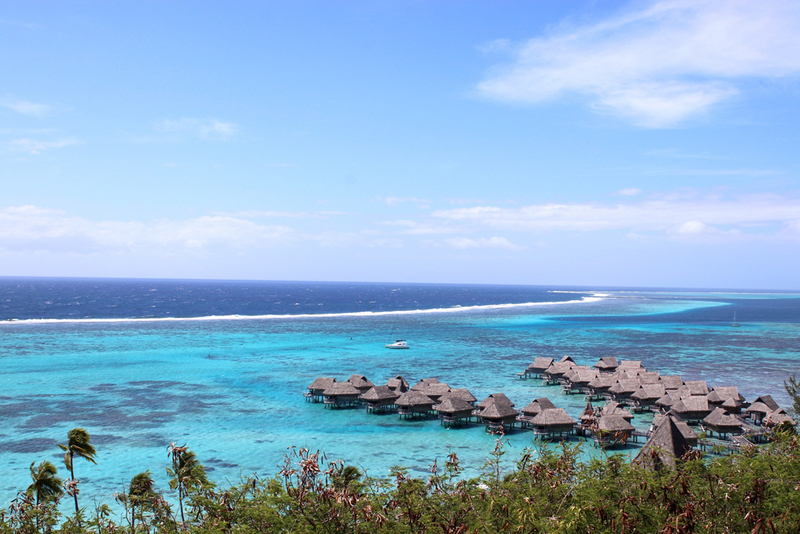 This photo was taken on a lookout point in Moorea, which has a great view of the overwater bungalows of Sofitel Moorea. 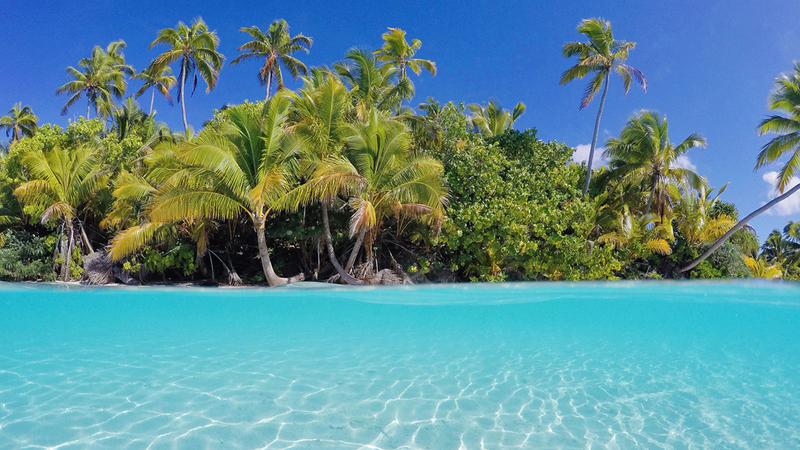 There are a few places and islands in the world where the hype and desktop wallpaper photos are worth it, and the islands of Tahiti is one of them. This photo of overwater bungalows is also memorable because the world’s very first overwater bungalows started in Moorea. Granted, overwater bungalows can now be found in many other islands in the world but there’s a special sense of serenity and calm found in the overwater bungalows of Tahiti. I absolutely love everything about this image from traveller Julia Rosenbusch (@ju.hu.lia). It seems to capture a fun sense of adventure and freedom – something I search for in every trip I plan. Famous for its seemingly endless silhouetted pagodas; Myanmar appears to have the beaches to accompany its rich culture and traditions too. Check out more of Julia’s travel images over on Instagram. Niue (pronounced New-Aye) is a teeny, tiny little island in the centre of a triangle of Polynesian islands (Tonga, Samoa and the Cook Islands) and only around a 3-hour flight from Auckland, New Zealand. With just 123km (76 miles) of paved roads, you can drive around the entire island in just a couple of hours. A rather unique place, Niue is in fact a large upraised coral atoll. Because of this, there are no rivers that flow out into the ocean, meaning there is no run off, resulting in incredibly clear ocean waters that have around 80-100 meters visibility. 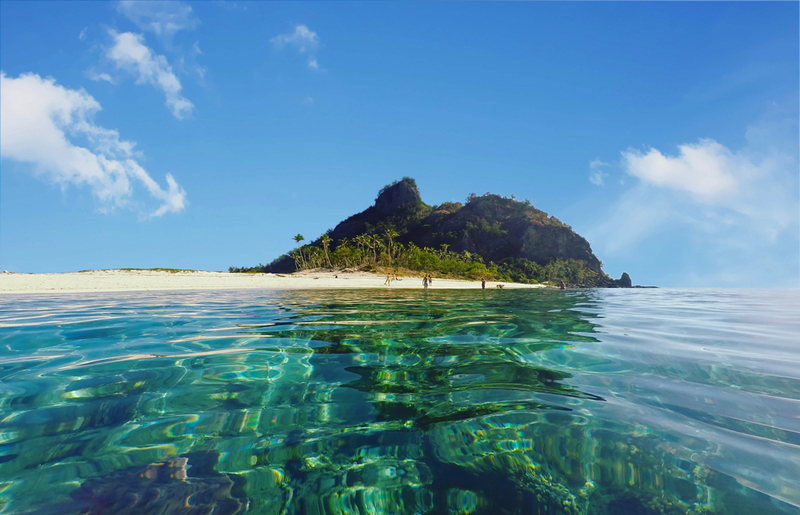 The entire island is dotted with a myriad of caves and rocky coves, as well as around 6000 acres of what remains of the Huvalu Rainforest. 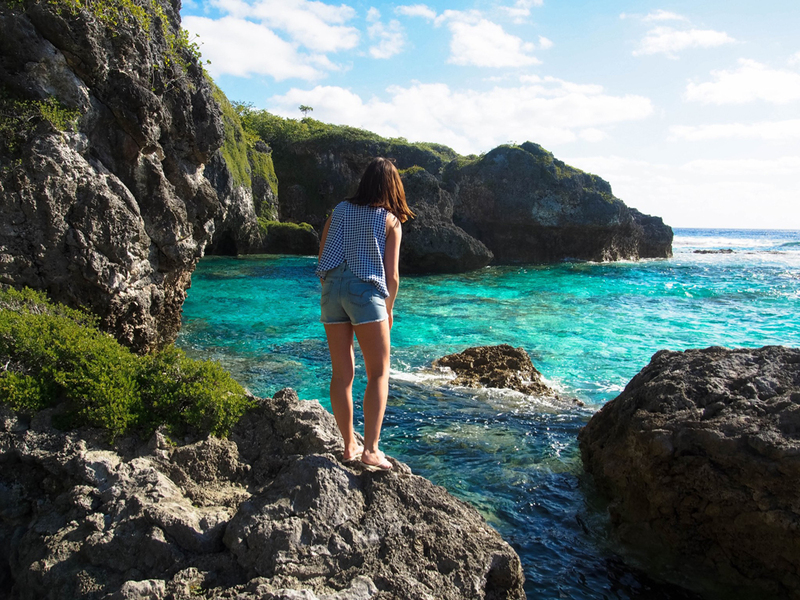 Niue is an outdoor lovers paradise! With no shopping malls or retail strips, no cinemas or adventure parks everything there is to do was crafted by Mother Nature and is waiting to be explored. Limu Pools – This rocky little haven is a local favourite on the island and it isn’t hard to see why. A beautiful blend of greens and blues make these waters something so special, with plenty of small caves to explore from the water. 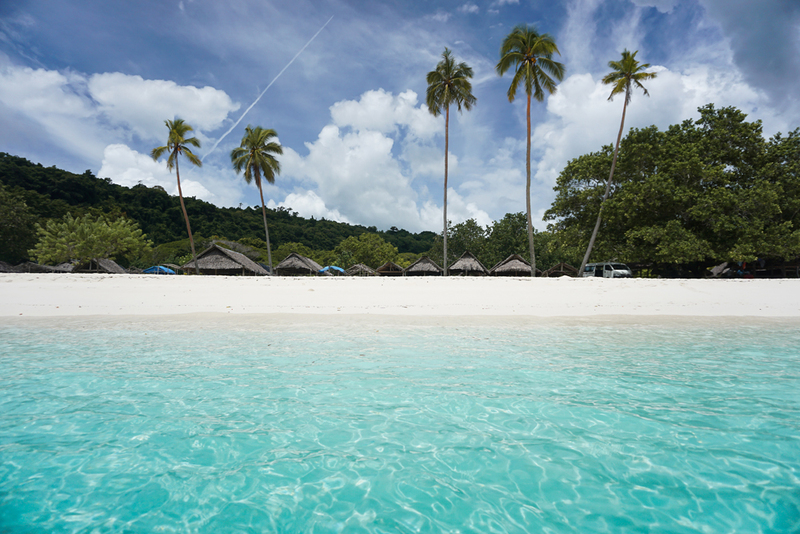 It’s the perfect secluded spot for snorkelling or just floating about. It was a perfect morning, a little breeze coming from the ocean. The sun was bright, and the sand was hot, with a pure blue sky in the background, with scattered clouds to contrast. I decided to take a walk from my hotel on the beach and found this spot, remotely situated from the resort. I stood there for a few moments, taking in the beauty of the beach. At the higher end of the beach I saw this girl running, and took out my camera and shot the moment as fast as I could. 9. Egmont Key State Park – Tampa, Florida. If you’re not yet following Mel over on Instagram, I’d highly recommend you do it now and begin your scrolling binge: @mvandersluis. 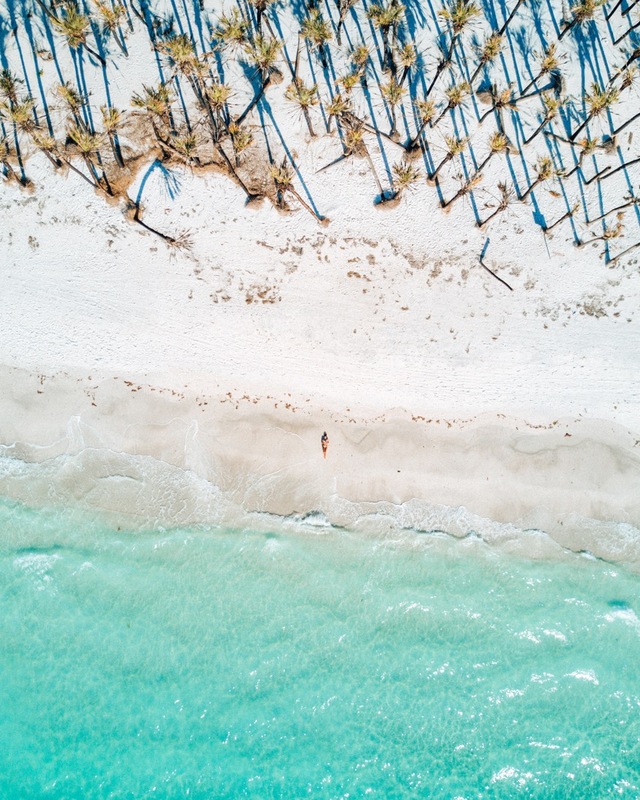 Filled with island and lifestyle inspiration, Mel’s images couple a love for travel and passion for creating incredible content – something truly evident within her Instagram feed. The Montreal based entrepreneur recently returned from a trip to Bali, leaving the Instagram community frothing – image after image. You can also check out Mel’s tutorials on how to best edit your images here on YouTube. This Island is called Egmont Key State Park and it’s located in Tampa, Florida. Boating by this island looked like absolute paradise and we were wondering what kind of shot we could get with the drone. We couldn’t bring the boat to shore so we parked the boat 20 meters out and had Alex Lettrich swim in the freezing cold water to get this shot. Needless to say, it was worth it! 10. Cable Beach – Broome, Western Australia. If you haven’t yet seen the work from my good friend Clare McMillan, then what are you even doing with your life? Clare and I are jetting off to New Zealand in just under two weeks, so be sure to look her up to keep up to date with our adventures. Clare writes frequent, well detailed travel guides and information on destination hot spots for travellers of all types over on Townske. Check it!!! Clare was lucky enough to witness the serenity of Cable Beach in Broome, Western Australia. If you’re travelling to Cable Beach, have your camera at the ready for sunset over the water. 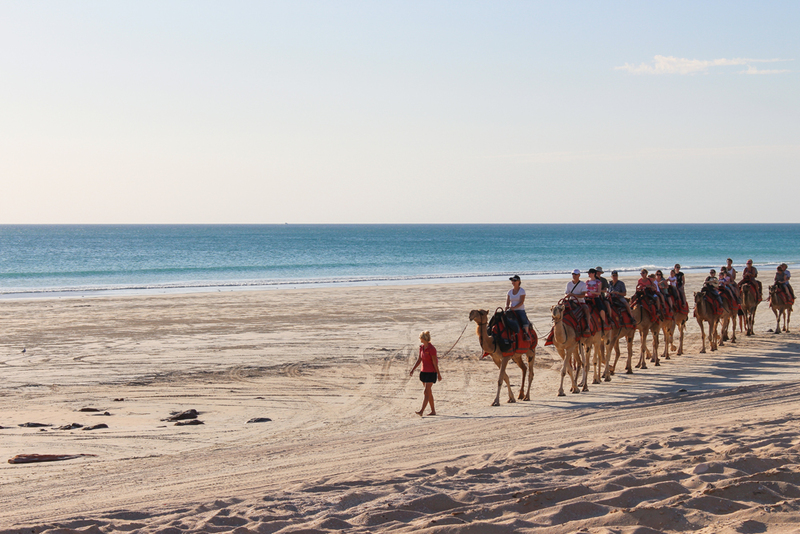 You might just be lucky enough to see the camel trails walking on the beach. For more images by Clare, head on over to her Instagram: @clareiswhere To read about Clare’s travels and destination guides, check her out on Townske. It was such an amazing view flying with @1770castaway. 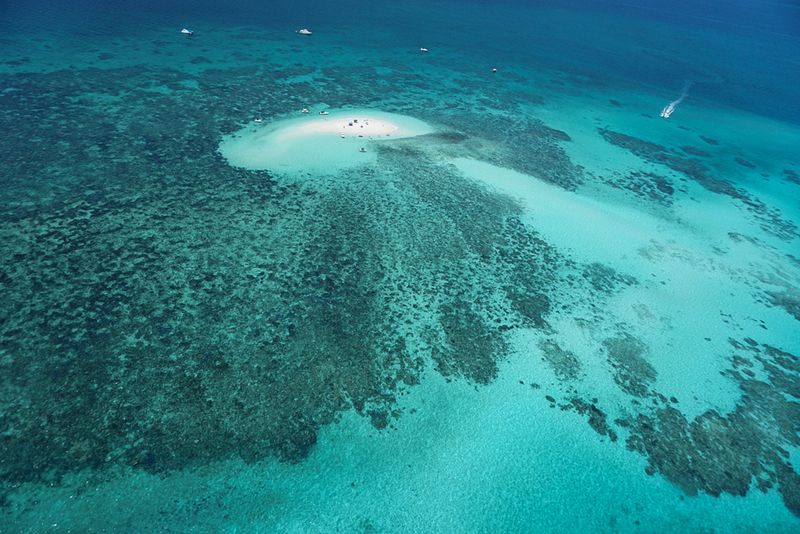 Middle Island is located just North of Agnes Waters and the town of Seventeen Seventy. 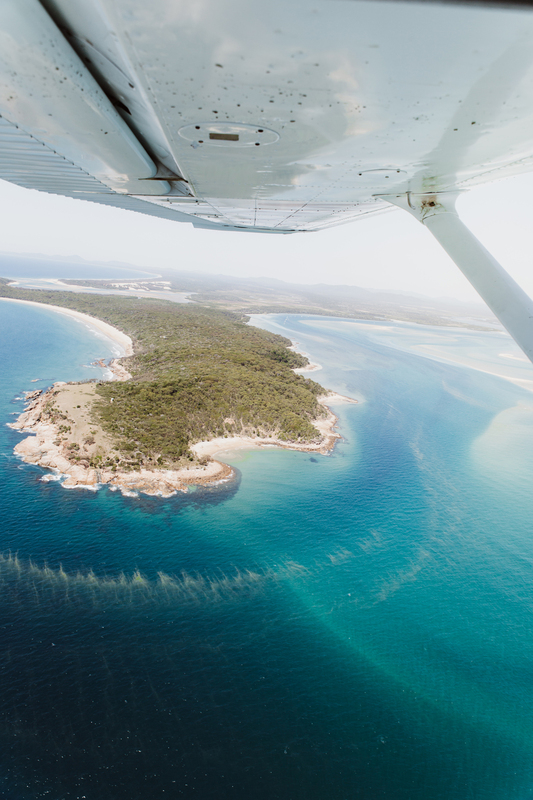 Flying over the sandy waterways around Middle Island, we were even able to spot whales and dolphins from way up here. So what did you think? 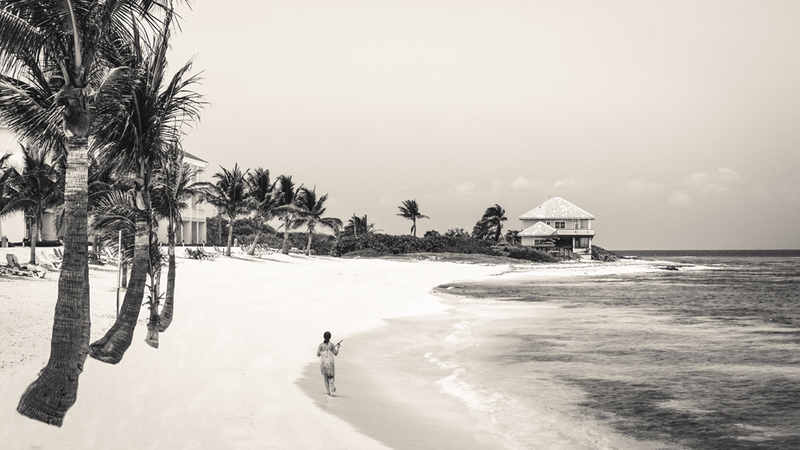 I hope these images have inspired you to book your next island or beach escape. Realising there are so many other islands scattered throughout the worlds oceans, we encourage you to comment below and list your favourites. Maybe we can create an updated list in the future? Let me know your thoughts. I would like to thank all of the contributors to this article once again. Thank you for submitting your incredible island and beach inspired images and allowing this article to come together so swiftly. Are you a Pinterest enthusiast? Pin it!